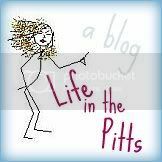 Life in the Pitts: Happy Monthiversary! Happy Five Month Anniversary!!! That is super exciting. congratulations!